The artificial flowers are compressed for ease of storage and transportation. They just needed to be fluffed out once you receive them. 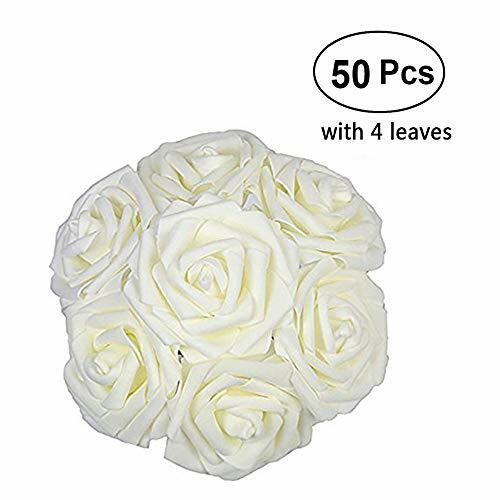 Please don't worry if you receive the bouquet with some flowers fall off, just plug the flowers by yourself as they can be assembled. As hand-assembled products, the flowers are inspected by workers at each step of the process before wrapped and packed for shipping. Theartificial flower is breathtakingly real and must be touched if they are to be distinguished from nature's own. They don't need water, sunlight, fertilizer, or tender care. You can change the color and the feel of a room by artificial flowers which are considered to be a relatively small investment. 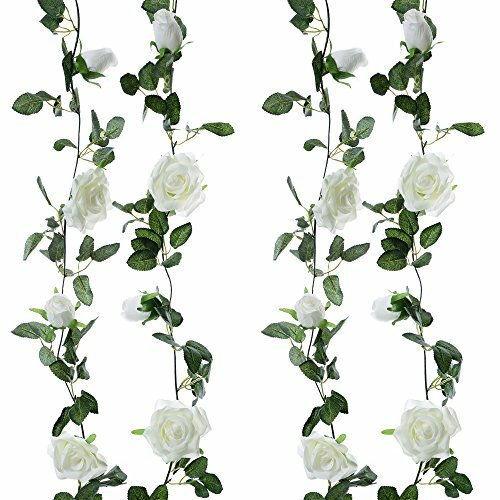 These beautiful roses garland not only looks natural, but also touch real. 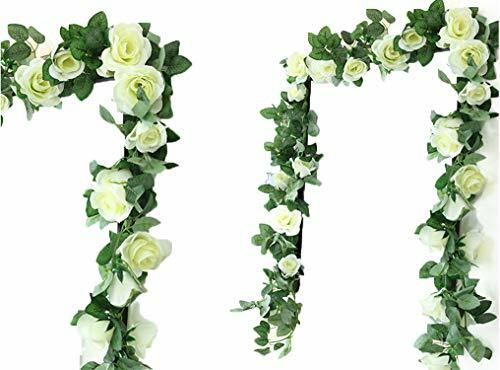 with high quality material and fastidious process, you can hang it on the wall, doors, mirrors, TV, air conditioner and all kinds of occasion's decoration. 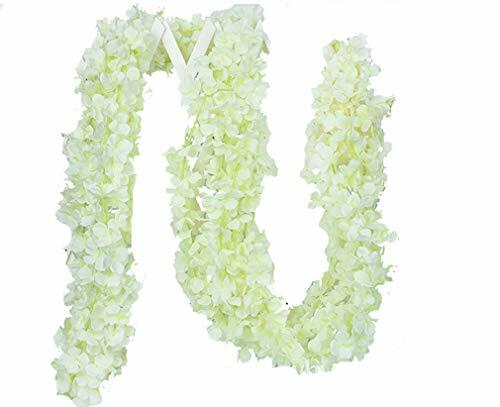 Every garland vine flower containing 16 Flowers. 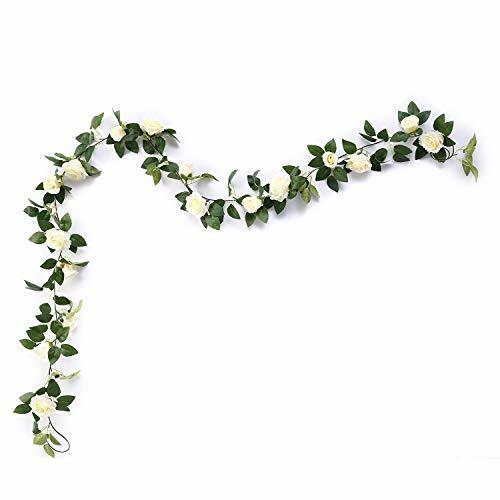 The overall length of 240cm, Flower diameter of 8cm approx Tips: Artificial vine flowers clean. General surface with a hair dryer blowing or wipe with a rag. Note: Please permit 1-2cm error because of manual measurement. Please permit some aberration because of different display. Brand Introduction: Soledi: The meaning of "sole" is sun. "di" stems from the Italian suffix of Monday-lunedì, Tuesday-martedì, Wednesday-mercoledì, Thursday-giovedì, Friday-venerdì. So Soledi means everyday is sunny day with full of hope forever. 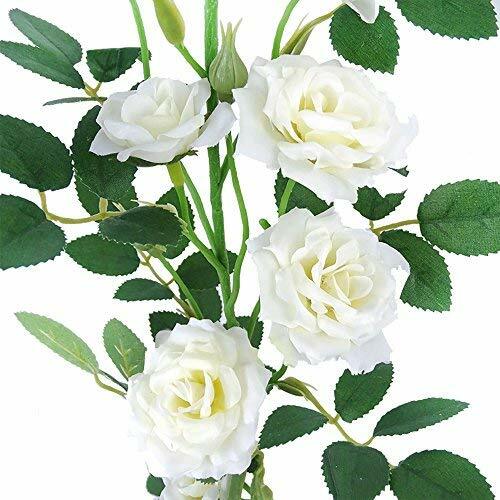 Language of rose in ancient Greek mythology: Rose is the combination of love and beauty, is the incarnation of Venus, dissolves in Cupid's blood. 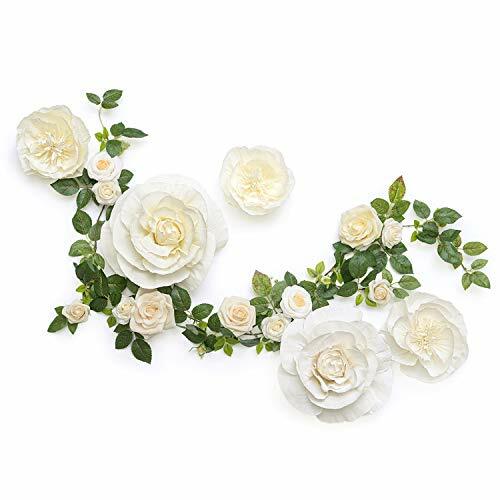 Product Specifications: Category: SOLEDI 10 Head French Rose Color: white, blue, milk white, red, pink Material: silk flowers Flower size: each flower diameter approx 9cm/ 3.5" Product size: about 44 * 25 cm/ 17.3" * 9.8" Product weight: 138 g Package includes:1 * SOLEDI 10 Head French Rose Kind Tips and Attentions: - To prevent sticky build up on silk flowers, use a blow dryer to blow away dirt and debris weekly. Use a low, heat free setting. - After a long time shipping, flowers may have a little bending. Simply use blow dryer to blow it. They will look beautiful and elegant. - The color will be a little different from the actual items due to the different monitors.Please understand that! - The vase is NOT included! Features: 100% brand new and high quality. 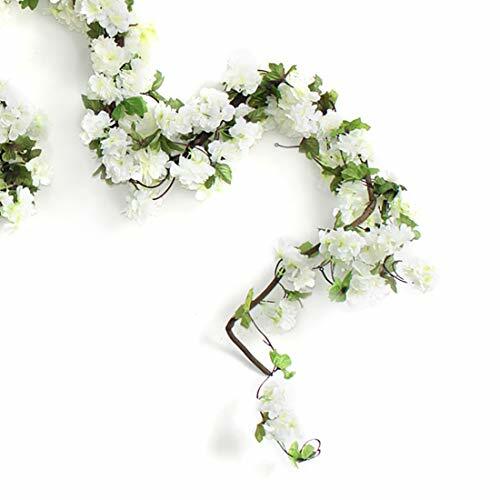 Material: Silk flowers and leaves, plastic vines. Size: each vine appr. 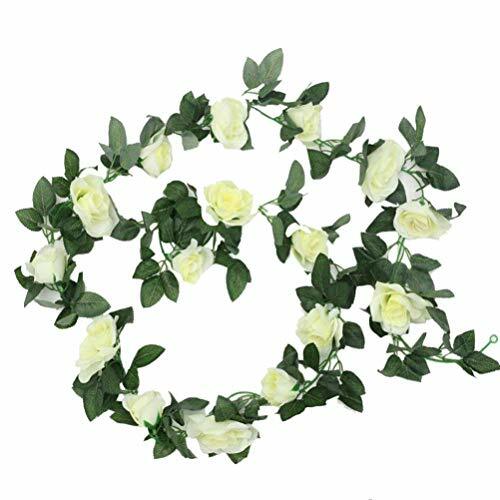 7.3ft with 16 flowers and 210 leaves, 8 big flowers are 3.1''in diameter, 8 smaller flowers are 1.9''in diameter, leaf size is 1.7''x 1.2''. 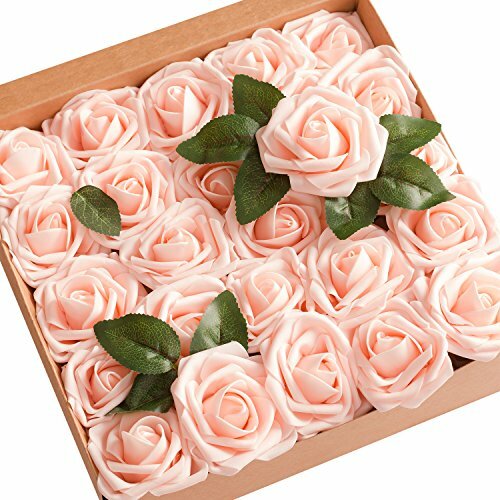 Package: 1 x rose flower vine. 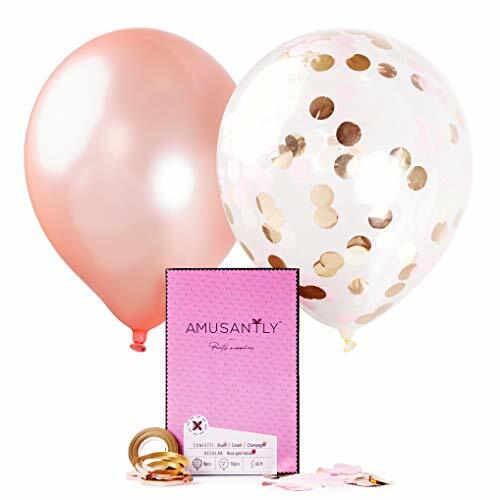 Use occasion: weddings,stages, parlours, bedrooms, parks, offices, dining rooms, countyards, stores and any other place that you want to decorate. 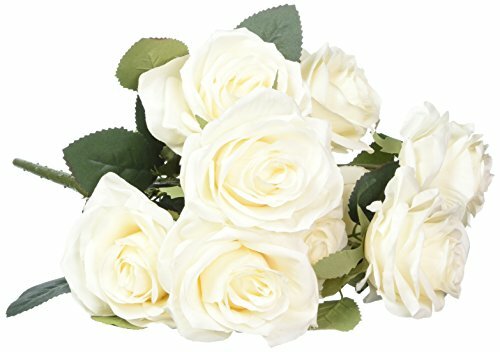 Rose flowers create a romantic look that makes for a wonderful wedding, pary, home decor. Don't hesitate, bid now and never miss it. Friendly reminder: The faux plant is made with fabric and plastic, so there maybe will have some smell. Please put the silk plant placed in ventilated place for 1-2 days. When shipped, the ivy vines are putting close in order to reduce space. You can adjust the branches to the most natural state. The flowers and leaves can be installed easily if falling. Customer Service: If you have any problem of our product, you can click "seller contact" button in your Amazon account to email us. Would be happy to help you and we will reply as soon as we can. I am sure it the right thing you need now. Don't hesitate, bid now and never miss it. 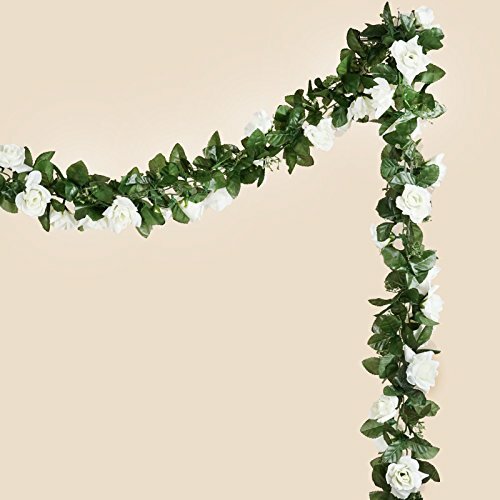 More lush and full than ever before, our extra full garland with lost of silk roses and green leaves will help you to decorate and dress up any space in an instant. Use it to decorate your arch, poles, banisters, pews, on your dining room table as a centerpiece or on your mantle as a swag. 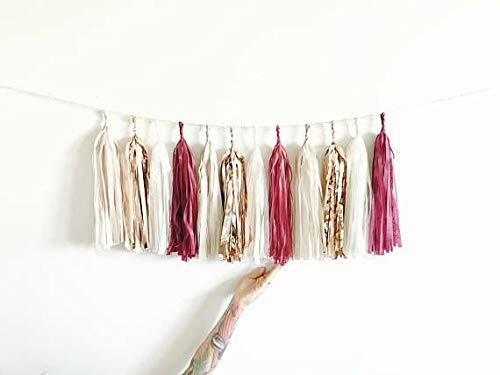 Use our garlands for your home decorations long after party is over as they are crafted to last for years and easy to store and reuse. WHAT YOU GET::One order is for one garland.Each garland is approx 6 feet long.Garland is easily adjustable with hidden hooks.There are approx. 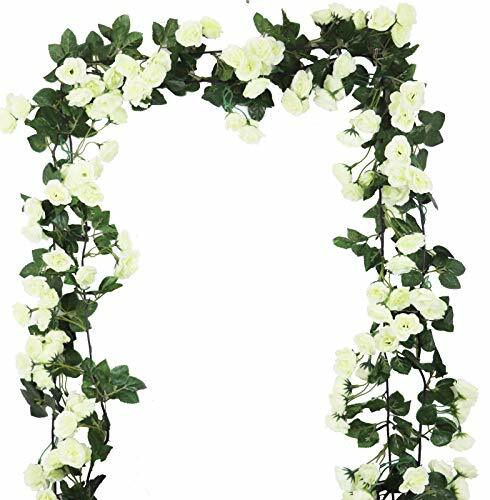 36 roses per each garland.Rose flower size is approx. 2" wide x 1.5" tall.Baby breath is spread throughout the green leaves. 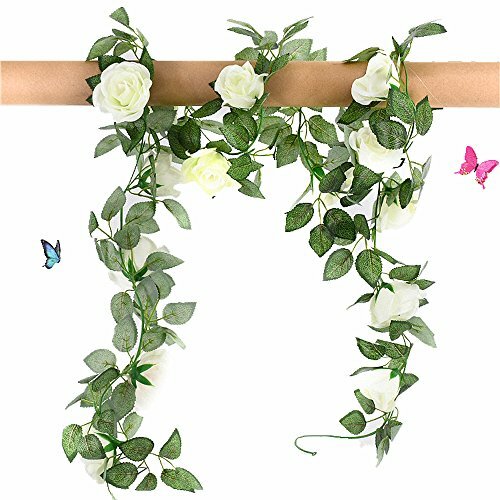 Lannu 5 Pack 13 FT Artificial Hydrangea Flower Vine Wisteria Garland Vines Specification: -INCLUDING: 5PCS Fake Wisteria Vine Garlands -Color: Champagne, Dark Purple,Dark Pink,Light Blue, Pink, Red, Rose Red, Tiffany Blue,White. Show as pictures -Material: High quality silk flowers and leaves + plastic stem Application: The artificial Wisteria vine garlands remain fresh and beautiful for years. 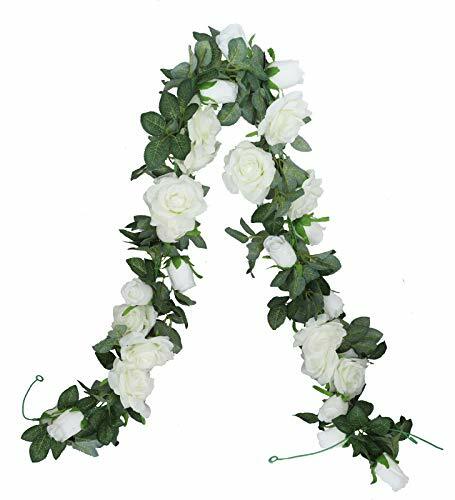 Perfect all year round decoration,add more sunshine & greenery to your love home,enjoy your life.Great for wedding, home, party, bar, coffee store, book store, garden, outside and festival decoration. 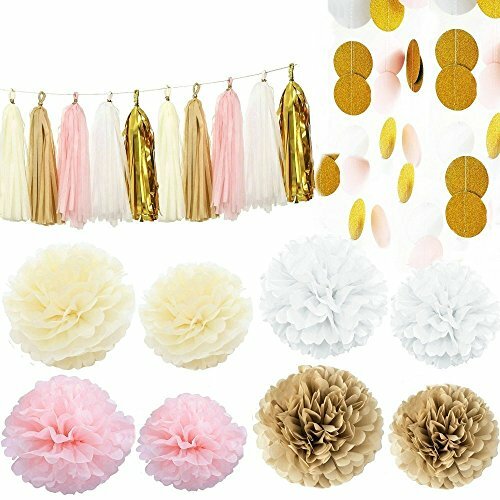 Compare prices on Rose Garland Cream at Elevelist.com – use promo codes and coupons for best offers and deals. We work hard to get you amazing deals and collect all avail hot offers online and represent it in one place for the customers. Now our visitors can leverage benefits of big brands and heavy discounts available for that day and for famous brands.